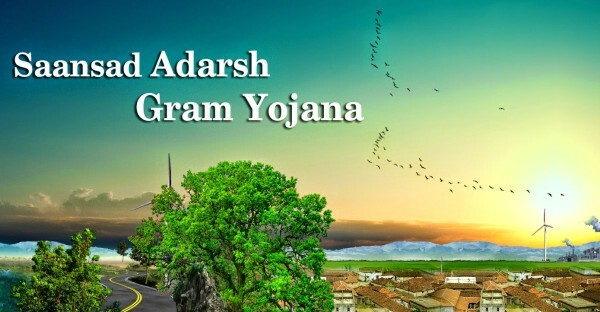 Under the Saansad Adarsh Gram Yojna, each member of parliament has to adopt one village Gram Panchayat for it development. Suresh Angadi has chosen Muthnal village while Rajya Sabha MP Dr.Prabhakar Kore has chosen Janwad village in Chikkodi Taluka and Prakash Hukkeri has chosen Shiradawad village in Chikkodi Taluka. The MPs will engage with the community, facilitate the Village Development Plan and mobilise the necessary resources. The Development Plan will place a special emphasis on enabling every poor household to come out of poverty. Prior to the plan formulation, there will be a systematic environment creation and social mobilisation, which will be led and guided by the MP himself/herself. The planning process in each village will be a participatory exercise coordinated by the District Collector. The MP will play an active facilitating role in this exercise. The MPs will also directly support activities at village level like health camps, organising grievance redressal camps, community mobilisation etc. They will give a direction to holistic development and our ingenuous villagers will pave their own path through their hard work and entrepreneurial skills. Previous articleMahesh Foundation gets KARNATAKA STATE AWARD 2014 for Child Welfare. The village linked to NH4 gets developed by its own some time, Why not concenrate on village which are in remote area where there is less ground water level.